Julie Hannum is the Director of Off-Campus Sites for Berkshire Community College, overseeing the college’s South County Center on Main Street, Great Barrington which offers credit bearing academic classes, noncredit workshops, and free English classes for Speakers of Other Languages. 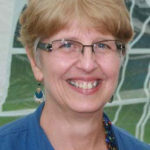 A long-time STEM (science, technology, engineering and math) educator, Julie spent 18 years overseeing a federal career and technical education outreach program with Berkshire County high schools, and coordinating interdisciplinary professional development opportunities connecting middle/high school teachers with local businesses and nonprofit organizations to enhance curriculum relevance through local resources. 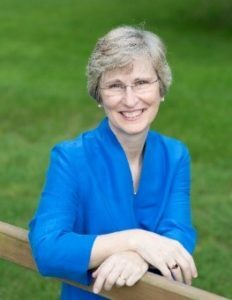 The current President of the Southern Berkshire Chamber of Commerce, Julie is also a former Vice President Select Board member and Library Trustee for the Town of Sheffield, currently serving on the town’s SBCC Board Finance Committee. She is actively involved as Clerk and a choir member of the First Congregational Church, U.C.C. of Sheffield and is also a member of the Great Barrington Rotary Club. Michelle Derr is the Director of CHP Family Services as well as Director of the Women, Infants and Children’s program located in Great Barrington. 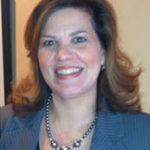 She is presently a member of the CHP Senior Leadership team. 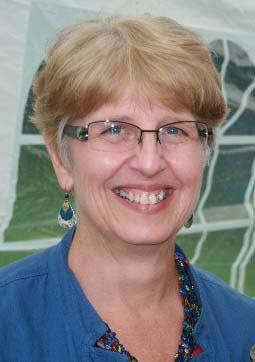 Michelle has worked for Community Health Programs for 28 years in various positions. Her focus of interest is working with families prenatal to 5 years of age where brain development is at its most crucial point. This passion is spurred by the need to provide services, whether it means getting proper food to families, parental education, or providing new programs to help struggling families. In 2005 she was awarded the Massachusetts WIC Director of the year award. Each year, Michelle advocates with state WIC staff to members of congress at the capital explaining the benefits of the WIC program and CHP. 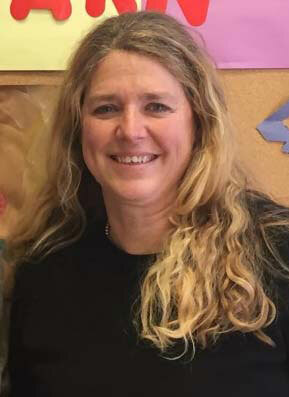 Michelle Derr received a bachelor’s degree from the University of Redlands, California. In her free time, she loves gardening and has started a small business Mod Pots and Plants. 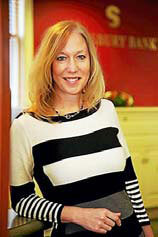 Spring has worked in the banking industry for over half of her life in different roles. She is now a recipient of the Five Star Mortgage Professional Award five years in a row, 2013, 2014, 2015, 2016 and 2017. She was featured in the 2017 March issue of Connecticut Magazine. Spring implemented the “Teach the Children to Save Day” initiative at Salisbury Bank. Outside of work she enjoys spending time with her family and friends, vacationing, and golfing. 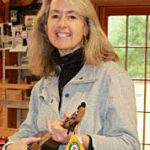 Phyllis Webb, V P Operations of Magic Fluke Co in Sheffield MA partnering for the last 19 years with her husband Dale manufacturing ukuleles, violins, banjo ukuleles and a bass right here in the USA proud to be sourcing material and parts as locally as possible. Phyllis is passionate about giving back to our community and the importance of buying local. She and Dale have worked hard to create partnerships with local vendors in Sheffield, Norfolk, Torrington, and Portland CT, Millerton, NY, Pittsfield and Springfield, MA etc., keeping it local whenever possible. 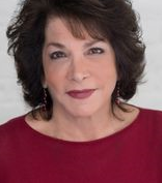 Since arriving in the Berkshires, from New Hartford, CT where she and Dale began their family and Phyllis helped to lead the town of 7,000 as well as the local business organization, she has enjoyed learning about our community and has joined a few committees and boards. A past board member of Music in Common and BerkShares. Committee member – Sheffield Farmer’s Market. Member of the board of directors of the Eagle Fund (SBRSD enrichment endowment). Speaker and Mentor – Entry to Entrepreneurship a BerkShares educational opportunity for young community members. Magic Fluke Co has been a member of the Southern Berkshire Chamber for the past few years, to name a few. Bob Climo is the Owner of The Great Barrington Bagel Company at 777 Main Street in Great Barrington. Bob moved to the Berkshires in 1996 after graduating from the Cambridge School of Culinary Arts. His first job in the Berkshires was as a line cook at Canyon Ranch in Lenox. 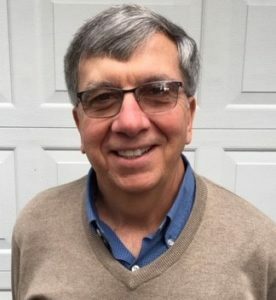 Bob worked at “the Ranch” for 9 years as Chef de Partie, Food Purchasing Manager and ultimately as the Demonstration Chef, teaching cooking classes both in Lenox and traveling the country teaching private and group classes. Previously, Bob was the Wholesale Manager for Guido’s Fresh Marketplace’s wholesale division. Bob started working as the manager of the bagel shop in 2006 and purchased the business from Marvin and Judy Lieberman in November 2014. He strives for quality and excellence in both his product and from his staff. Bob has lived in Egremont since 1996. His wife Karen is a realtor at William Pitt Sotheby’s International Realty and also helps at the store. Bob and Karen have two daughters, Lillian and Tessa. 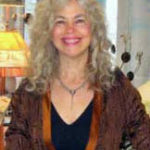 Barbara Watkins opened Evergreen Contemporary American Crafts with her husband in 1980 at the original location of 13 Railroad Street. The second location was across the street at #34. Then Evergreen moved to its current location of 291 Main Street. She is involved in every aspect of the business, from designing the logo, ordering and displaying merchandise, promotion and advertising, and employee scheduling to sales and customer relations. Her formal education was at SUNY Oneonta, before transferring and graduating from Southeastern Massachusetts University, now UMass Dartmouth, with a BFA in Visual Design. When not at Evergreen, Barbara enjoys tennis, Zumba and gardening. She has been on the board of Railroad Street Youth Project for 11 years and is a Co-Leader of the Great Barrington chapter of Dining for Women. 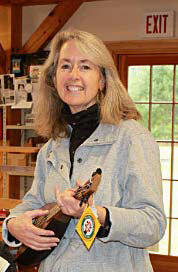 Lynda Mulvey has lived in the Berkshires since 1994. A native Floridian by way of Eastern Long Island, she moved here from Boston with her husband of 3 months with no friends and no family. Taking chances is her motto! This place seems like heaven on earth. As luck would have it, she was approached to work with CMC (Center for Motivation & Change) in New Marlborough. This new position allows her to develop further administrative skills in an effort to round out her business career. 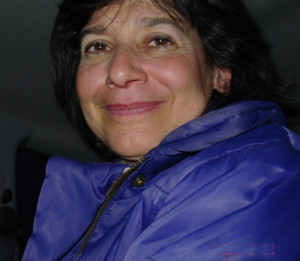 During her over 23 years in the Berkshires, Lynda has been involved and/or volunteered for Tri-Town Rotary, Stockbridge chamber, Bidwell Museum, Fairview Gala, Jacobs Pillow Gala, Southern Berkshire Community Center and Monterey Fire Department to name a few. 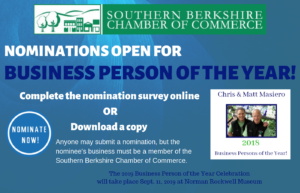 She has been involved for numerous year with the Southern Berkshire Chamber helping to host many events and is currently on the events and programs committee. 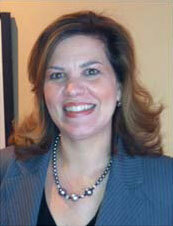 Maria McMahon Rundle is the Executive Director of Flying Cloud Institute, a local science and art education nonprofit. She grew up in the Berkshires and currently lives at Gould Farm in Monterey with her husband Nathaniel and three children. 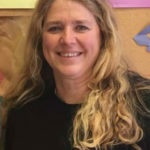 Prior to working at FCI she was director of development at Gould Farm and a member of the Southern Berkshire Regional School District school committee. She moved back home to the Berkshires ten years ago after working as an educator in Ithaca, NY and as a union organizer in Chicago and New York. Graduating from Chicago-Kent College of Law with Honors in 1982, Scott was recruited by the largest Personal Injury Plaintiff Trial Law Firm in Houston, Texas. In 1999 he moved his family to the Berkshires to be close to the Son Rise Program for children challenged with autism taught at the Option Institute in Sheffield so that his son could benefit from the home-based therapy. Scott has represented injury victims for 35 years in all settings from the claim stage to jury verdict. In 2015 the Commonwealth of Massachusetts, for the first time in its history, allowed attorneys to question prospective jurors. Scott had been conducting such questioning in his Texas trial law practice for over 35 years and has more experience in the new jury selection process than virtually any Massachusetts attorney. Locally, Scott is passionate about our community has served on the board of trustees of the Option Institute and Fellowship, The Eagle Fund and The Stanton Home. In April of 2016 He and his wife, Cherri, opened a nonprofit Tea House, ExtraSpecialTeas, operated by special needs young adults. Dawn Stanyon is a branding and digital marketing consultant. 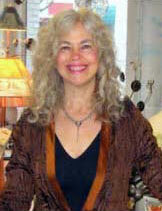 A Berkshires newbie, Dawn and her husband Dan lived in the Burlington, Vermont area for more than 30 years. Her passion is to help individuals and small businesses to succeed. 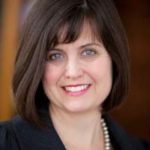 Prior to founding Professionality Consulting, she worked with The Emily Post Institute for nine years to help grow their corporate business etiquette programs by 700% and communicate their message about consideration, respect and honesty. Prior to Emily Post, she worked in non-profit fundraising, event planning and communications for 13 years. Dawn loves using her experience as a certified professional image consultant & personal brand expert, and her deep interest in effective communication, to help businesses, nonprofits, and the Southern Berkshires Chamber of Commerce. Janis Martinson is Director of Advancement at the Mahaiwe Performing Arts Center in Great Barrington, and a long-time resident of Egremont. She was a high school English teacher for many years before becoming a fundraiser for arts and education non-profits, with over 25 years in the field and $95 million to her credit. 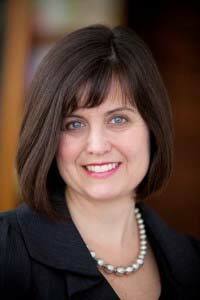 She has served as Chief Advancement Officer at Miss Hall’s School in Pittsfield, and most recently as Vice President of Institutional Advancement at Lesley University. Her Board service includes stints on the National Coalition of Girls Schools and the Berkshire South Regional Community Center boards, and she served a term as an elected official on the Planning Board in Egremont. She is a graduate of Princeton University, with an MBA from the Isenberg School of Management at the University of Massachusetts-Amherst. Her husband, Steve Sagarin, is Faculty Chair of the Berkshire Waldorf High School in Stockbridge, and they have two grown children. Karen Shreefter is the owner of Karen Shreefter Landscape Design, a design/consultation/ build company founded over a decade ago. She studied Japanese gardens in Kyoto, Japan and received certificates in Landscape Design from the Cary Institute of Ecosystem Studies and Horticulture from MCLA. While working at Naumkeag, The Trustees of Reservation property in Stockbridge, Shreefter felt as if she studied with Fletcher Steele (1885 – 1971) one of America’s first landscape architects, because she researched his life and work, studied his original blueprints for the property, and created a tourof the gardens created by Steele and Naumkeag owner Mabel Choate. 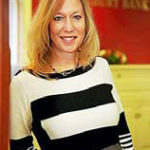 Emily Zelenovic is a real estate attorney, operating the Law Office of Emily Zelenovic in Great Barrington. Born and raised in Great Barrington, Emily moved back to her hometown in April 2017 after living and working in Boston for nine years. 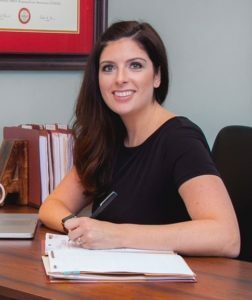 With the unwavering support of her husband and family, Emily decided to open her own law practice, focusing exclusively on real estate law. Her mentality was, and continues to be, do one thing and do it really well – and that is the foundation from which her practice has developed. consulting services for the Southern Berkshire Chamber of Commerce, Kimball Fuel and other small businesses. Bill has supported the Chamber for the past few years as a non-Board member of the Membership & PR Committee. Bill and his wife, Marie, live in Sheffield. Luke Masiero was born and raised in his family’s business, Guido’s Fresh Marketplace. He worked at Guido’s as soon as he was able, taking breaks only to work at another family business, Baba Louie’s Pizza. From a young age, Luke gained a sense of the hard work, passion, and tenacity it takes to build a business from the ground up. His father and uncle, Guido’s owners Matt and Chris Masiero, instilled in him the importance of community and giving back whenever possible. After graduating from Monument Mountain Regional High School, Luke left the Berkshires to attend the University of Colorado in Boulder. 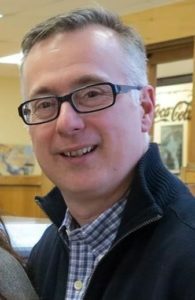 He returned home in 2013 and has worked in the stores since then, first in Guido’s Kitchen in Pittsfield and then as Customer Service Manager in the Great Barrington store, a position he currently holds. He’s immersed himself in all aspects of the business, striving to carry on the essence of what his family has created by providing the best quality food and service to the community. In his free time, Luke enjoys playing soccer with a community team, snowboarding, and spending time with friends and family. Caroline has been doing hair in the area for 20 years. She owned a business in South Egremont for 12 years before moving her salon to Great Barrington in 2016. She was drawn to the community support in this town and is active in supporting fellow business owners. She has organized various events to help raise money for local charities, with several more planned for this year. She has been married for 20 years to a local home builder and has 2 children.